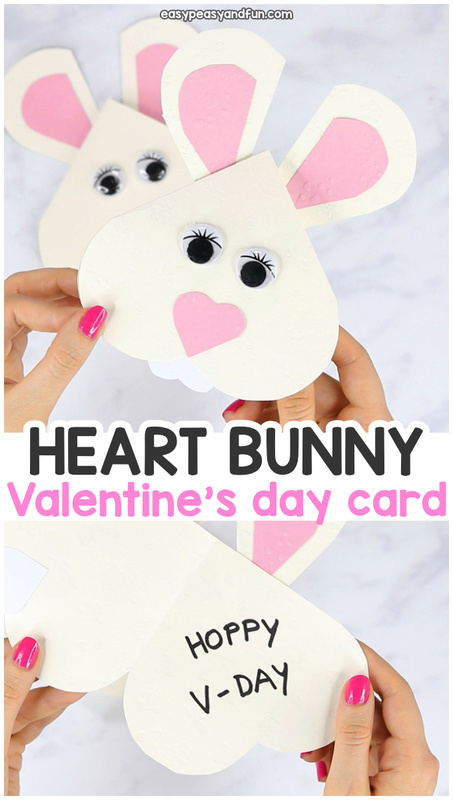 Wish someone a Hoppy Valentines’s day with this cute heart bunny craft. 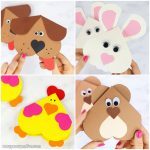 This simple craft makes the coolest little Valentine’s day card, although you can just as easily use it for Easter too. 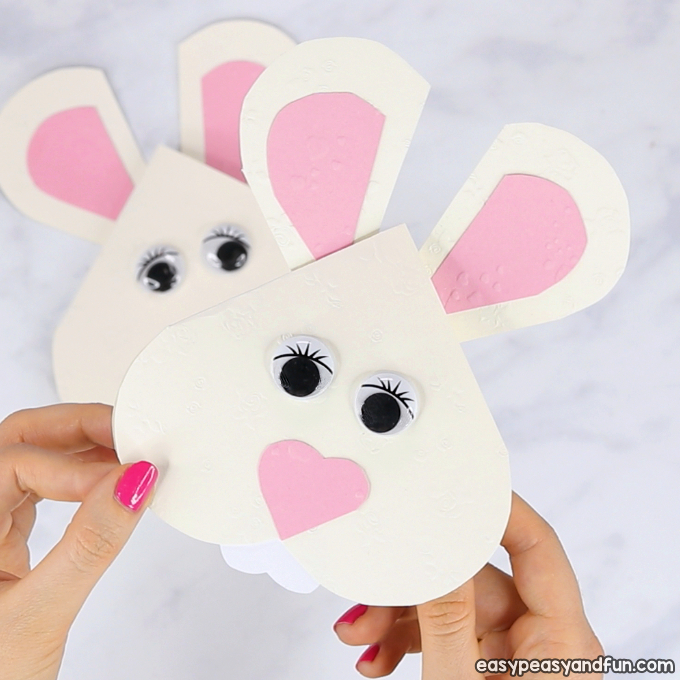 This bunny craft is great both as a Valentines day craft as well as an Easter craft for kids to make. 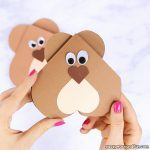 We’ve made quite a few of these heart shapes animal crafts already and each of them is insanely cute. 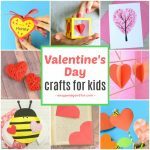 It’s really amazing at just how many lovely creations you can make and how cute cards they make. 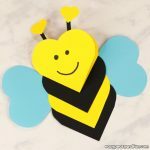 These are quick and easy to make to they are great to do in the classroom with your students. Print out our template. 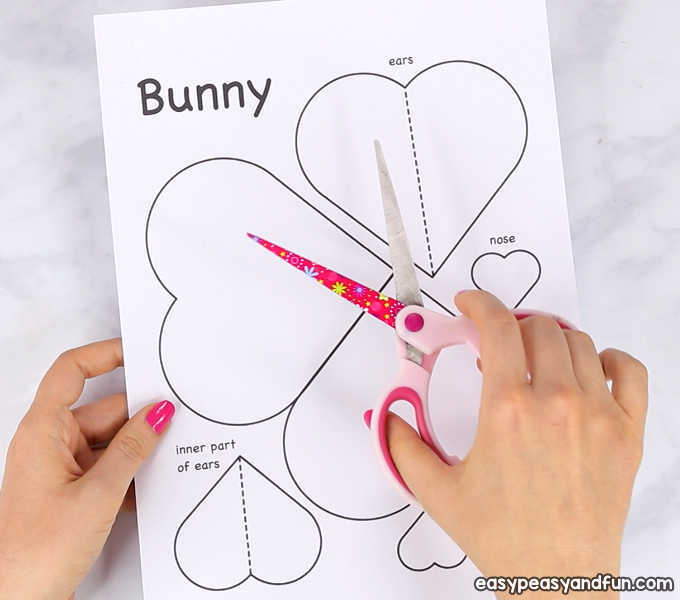 If you will have your kids color the template, let them color if first before they cut it. 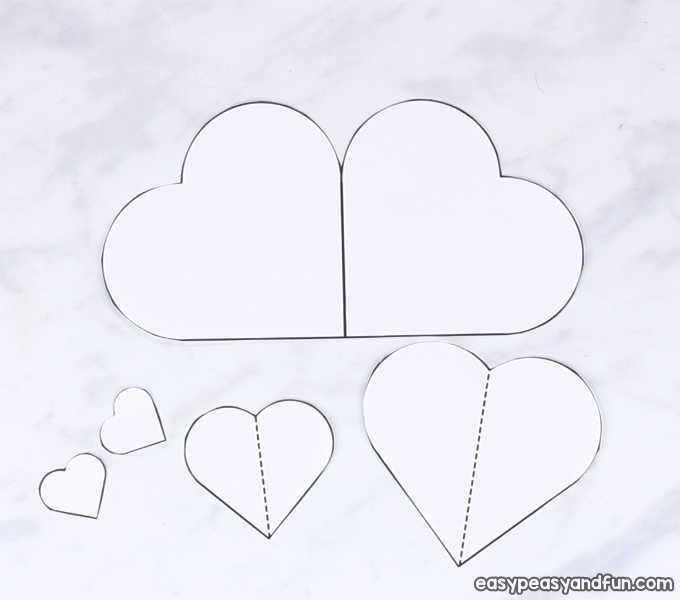 We will show you how to use our template as a stencil. 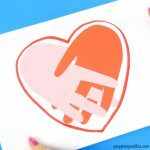 Trace the two joined hearts on constuction paper. This makes the bunny head – we chose textured beige paper (texture really ads something special to these cards). 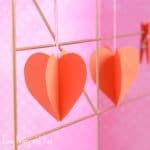 Trace the ears heart on the paper of the same color. 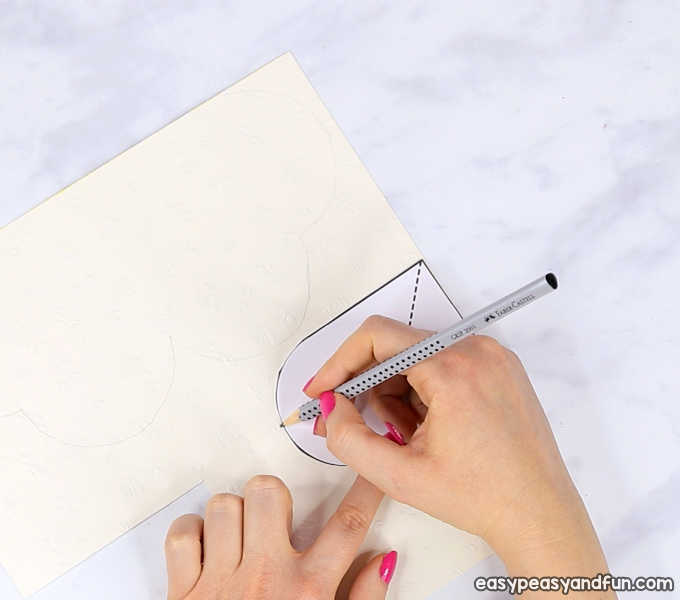 Trace the inner ears parts on construction paper. 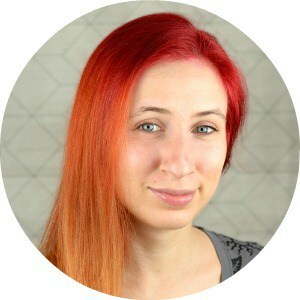 We choose pink for ours, blue would look super cool too as well as other colors. Just pick your favorite. Do the same with the nose. Trace the teeth heart on white paper. 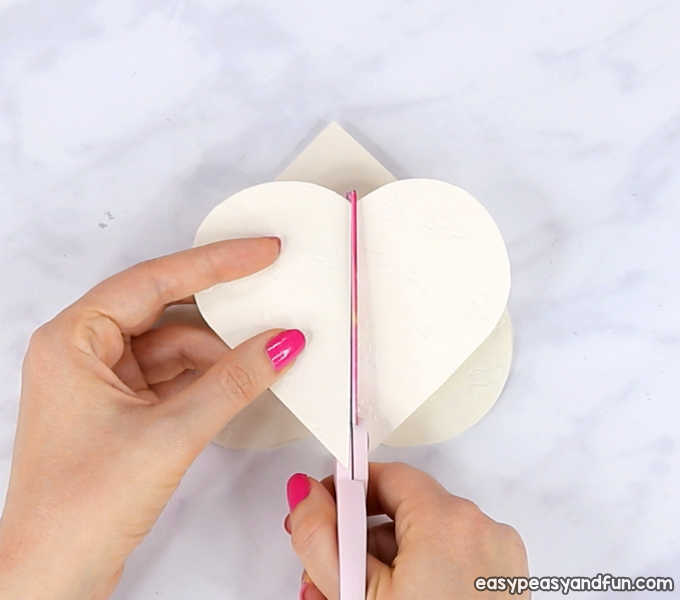 Fold the head heart in half to make a card. 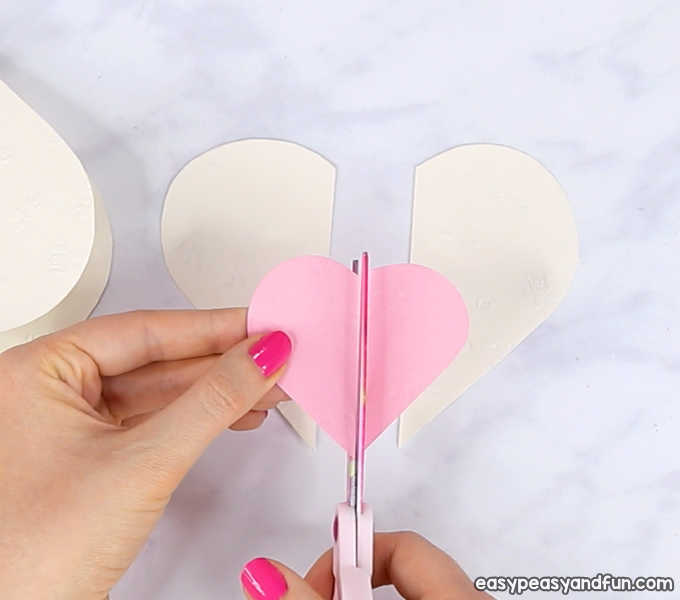 Cut the ears heart in half. Cut the inner ears heart in half too. Stick the inner ears part onto the ears. 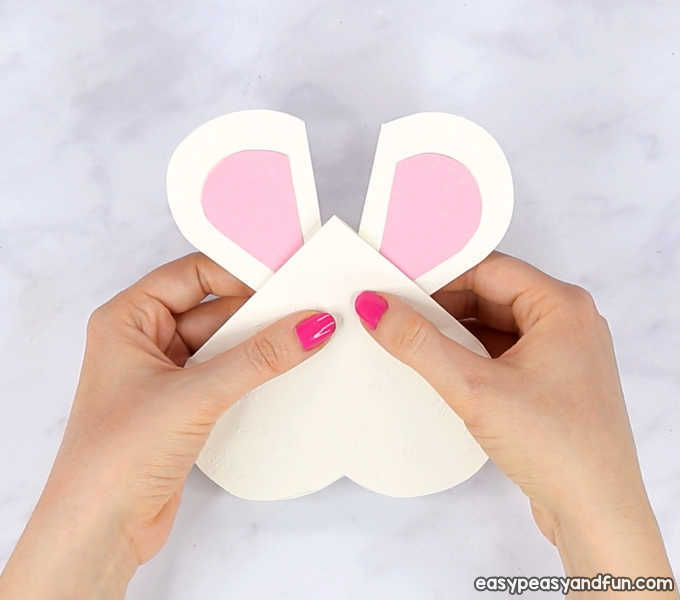 Apply glue on the bottom of the ears part and stick them on the back of the heart bunny head. Stick the nose and teeth on the bunny. 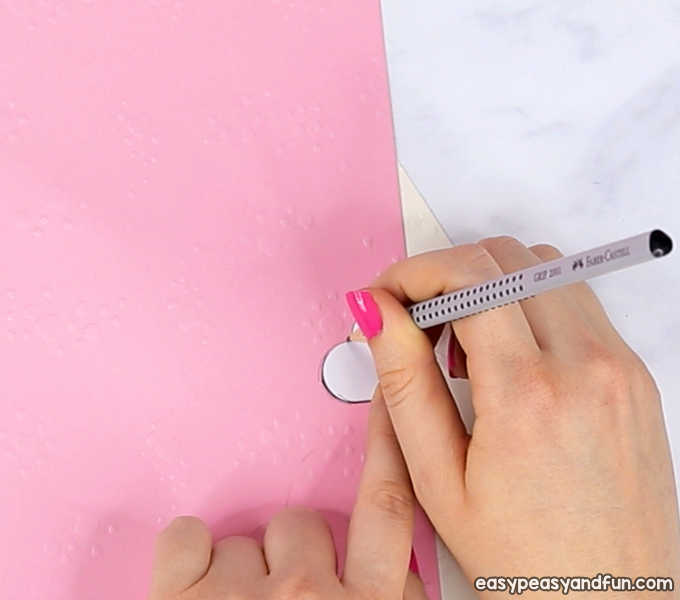 Draw eyes or stick on a pair of googly eyes. All done! 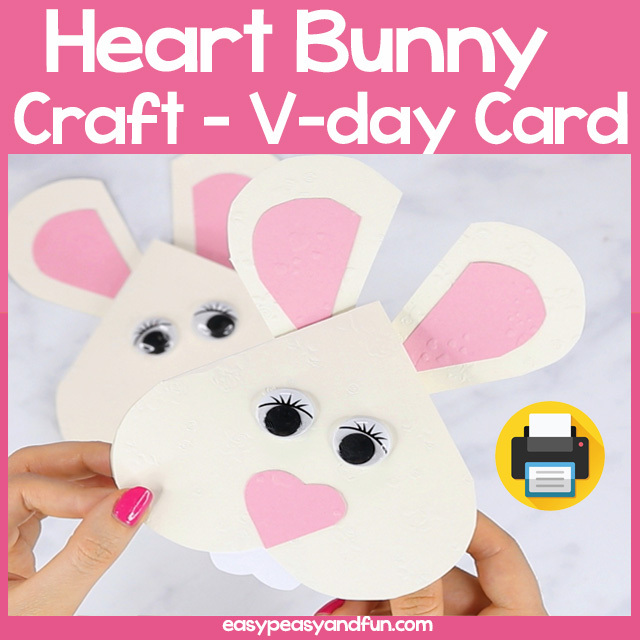 Your heart bunny craft is complete.